The black walnut Arius YDP-144B Traditional Console Digital Piano with Bench from Yamaha is an 88-key digital piano featuring a Graded Hammer Standard keyboard designed to emulate the feel of an acoustic piano. It can be used in the home or studio to provide authentic acoustic piano touch and tone suitable for any aspiring pianist. In addition, improved reverbs set the stage for you to replicate the feeling of playing in a variety of different environments. 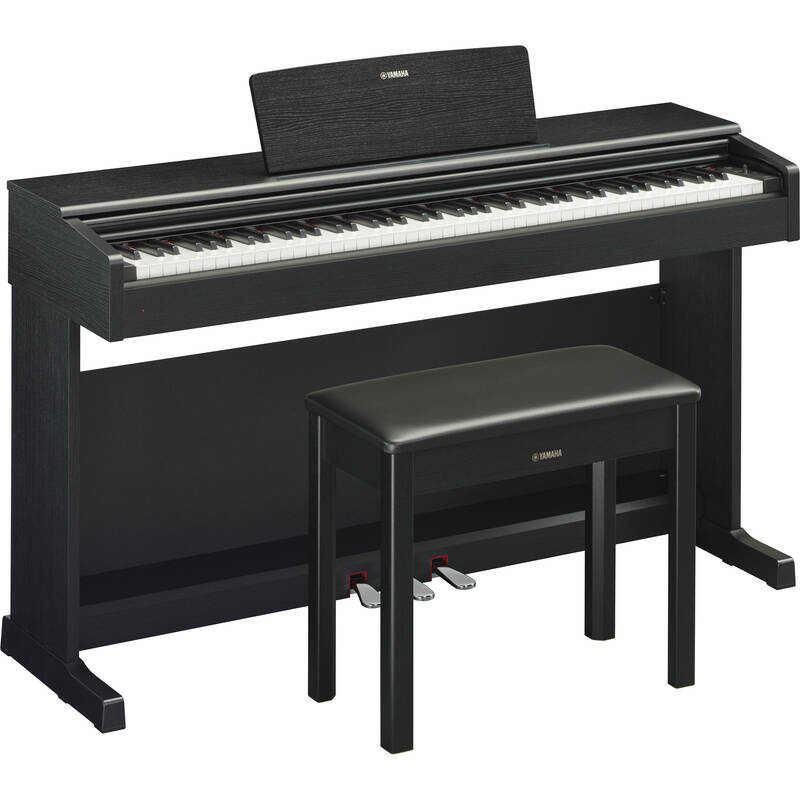 The Arius YDP-144B is built with a furniture-style cabinet that exceeds expectations of the typical digital piano, lending to a classic piano look to any home. Box Dimensions (LxWxH) 56.0 x 22.0 x 16.0"